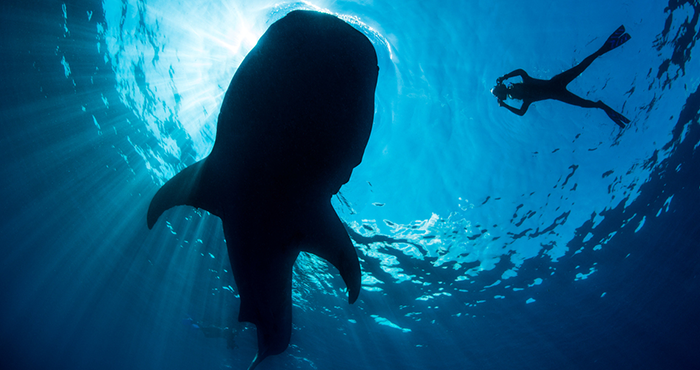 Meet the world’s biggest fish – the whale shark. Despite its massive size, it feeds mostly on plankton. The distribution of whale sharks indicates the presence of plankton and the overall health of our oceans, which we heavily depend on. Read on to discover more. The whale shark is the largest shark and indeed the largest of any fish alive today. While the maximum size of this species is not known, they can reach the length of a school bus! These gentle marine giants roam across the tropical oceans of the world, generally alone. However, large numbers of whale sharks often gather in areas with abundant plankton food—making them prime tourist attractions. Because whale sharks feed on plankton, they will travel large distances to find enough food to sustain their huge size, and to reproduce. Their white spotted colouration makes these gentle giants easy to distinguish, and are popular with snorkelers and divers at sites where they gather off the coast. However, the whale shark is facing big challenges today. These majestic creatures, which are an IUCN endangered species, are at risk from being caught as bycatch and struck by ships, and are still hunted in some parts of the world for their fins and meat. Poorly managed whale shark tourism also presents a threat to the species as it may interrupt their feeding and sharks can be injured by boat propellers, highlighting the importance of responsible tourism practices. 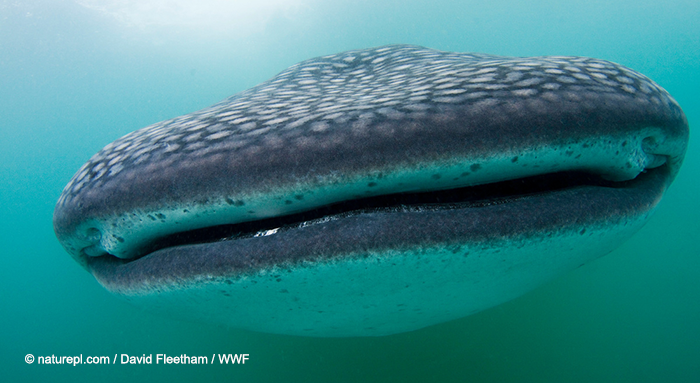 To secure the future of this species and safeguard the health of our oceans, WWF is working to protect whale sharks. WWF experts continue to study shark habits and gather information in the Coral Triangle on individual sharks by using satellite tags, sonar devices, and digital cameras to create further protection for whale sharks. In addition, we support whale shark studies to learn more about the population, their habitat use and migratory pathways in the waters surrounding Mafia Island, Coastal East Africa. As the world celebrates Whale Shark Day on 30th August, discover how you too can play a part for nature and whale sharks. The whale shark is the biggest fish and shark in the world. 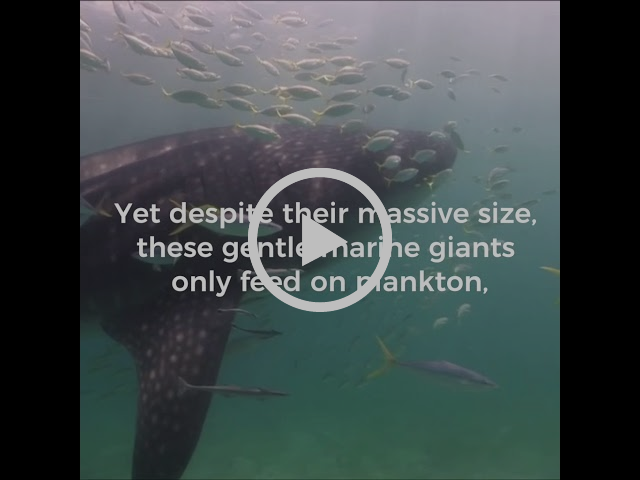 These gentle marine giants roam the oceans around the globe, generally alone. 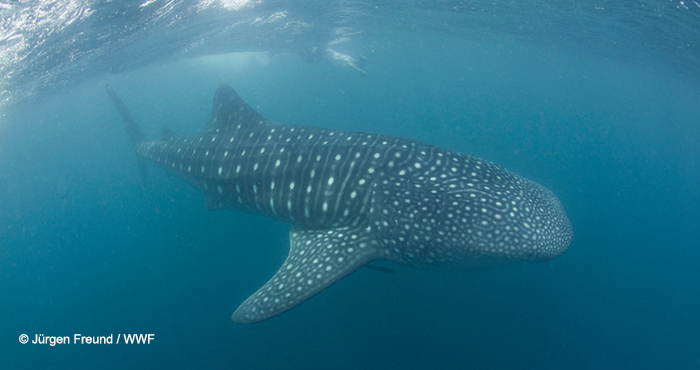 However, large numbers of whale sharks often gather in areas with abundant plankton food. Our mission is to stop the degradation of our planet’s natural environment, and build a future in which people live in harmony with nature. 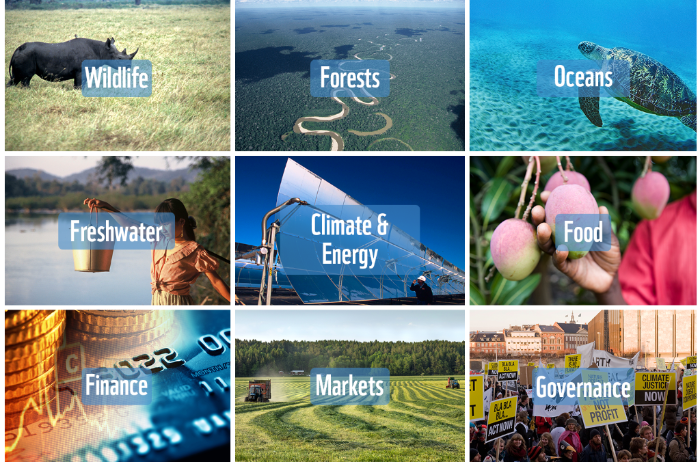 Find out how we aim to achieve this through our nine global goals.